Summer (Midwest) Movie Preview: What's shooting this summer in your hometown? Summertime is fast becoming filmmaking season in the Midwest. In the last few years, films like The Avengers, Transformers, Captain America, Draft Day, The Fault in Our Stars and more have set up shop in the summer months to make their movies in Ohio, Michigan and Pennsylvania. This summer is no different. Travel through the Midwest Movie Belt (Detroit through Cleveland to Pittsburgh) and a half-dozen or more mid- to big-budget films are calling the region home. Expand that through the states and you double that number. 1. Batman v Superman: Dawn of Justice. By far, Warner Bros. sort of sequel to Man of Steel (though, from recent leaked reports of Warner Bros. DC superhero movie slate, really a prequel of Justice League before Justice League) is the region’s biggest production. 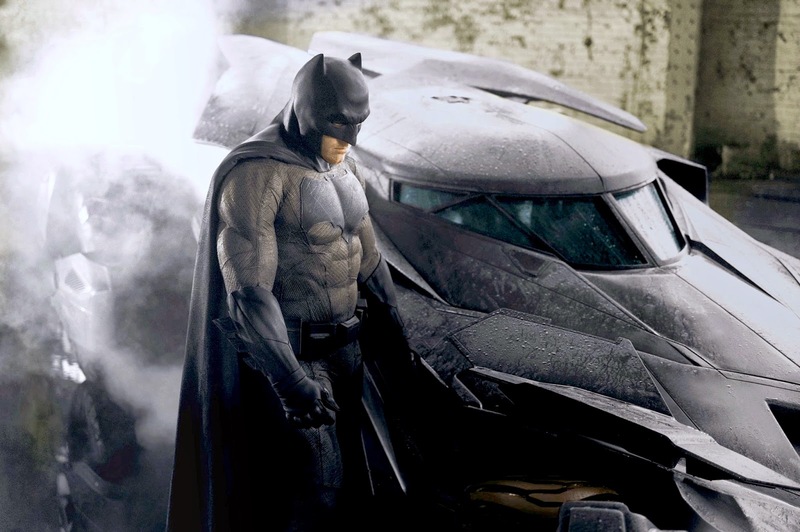 Shooting in Detroit over the next few months, the movie pits Ben Affleck’s Bruce Wayne against Henry Cavill’s Superman. The production is the most expensive film ever shot in Metro Detroit, with an estimated $131 million project budget, according to reports, hiring hundreds of local film crew and more than 6,000 jobs for extras. Filmmakers were given a $35 million incentive to shoot in the state. Beyond the city, the film is also shooting at the Michigan Motion Picture Studio, where much of Oz the Great and Powerful was filmed. The Michigan Film Office is hoping to lure future Warner Bros./DC productions back. 2. Criminal Activities. After a summer filled with superheroes and football stars, things are little quieter in Cleveland this year. The big summer production for C-town is Criminal Activities, starring John Travolta and directed by Jackie Earle Haley. Less disruptive than Captain America: The Winter Soldier and a bit more subdued like Draft Day, the film crew has been spotted on Cleveland’s east side and downtown. It’s a fast 23-day shoot, as many indies are. Travolta was in town for only five days. The other actors - Michael Pitt (Boardwalk Empire) and Dan Stevens (Downton Abbey) - are in it for the long haul. 3. Southpaw. Director Antoine Fuqua returns to his hometown of Pittsburgh to direct his next feature, Southpaw, starring Jake Gyllenhaal, Rachel McAdams, Forest Whitaker and 50 Cent. The film will shoot in Pittsburgh in July, after wrapping production in Indiana and others parts of Pennsylvania. The movie tells the story of a middleweight boxing champion who must find the strength to come back after a personal tragedy. Fuqua is best known for Training Day and the upcoming Equalizer. 4. The Bronze. This small indie about a former Olympic gymnast who is still living those glory days years later. The film was written by Melissa Rauch, who plays Bernadette on The Big Bang Theory. Rauch plays the main character in the comedy. The movie shoots in Amherst, Ohio, in June and July. Amherst is a little more than 30 miles from Cleveland. 5. Me & Earl & the Dying Girl. This film, based on the YA novel of the same story, finishes up its on location work in Pittsburgh this month. The movie is directed by Alfonso Gomez-Rejon, who has a slew of second unit work under his belt, as well co-executive producing American Horror Story. Thomas Mann (Project X), Olivia Cooke (Bates Motel) and Jon Bernthal (The Walking Dead) star.